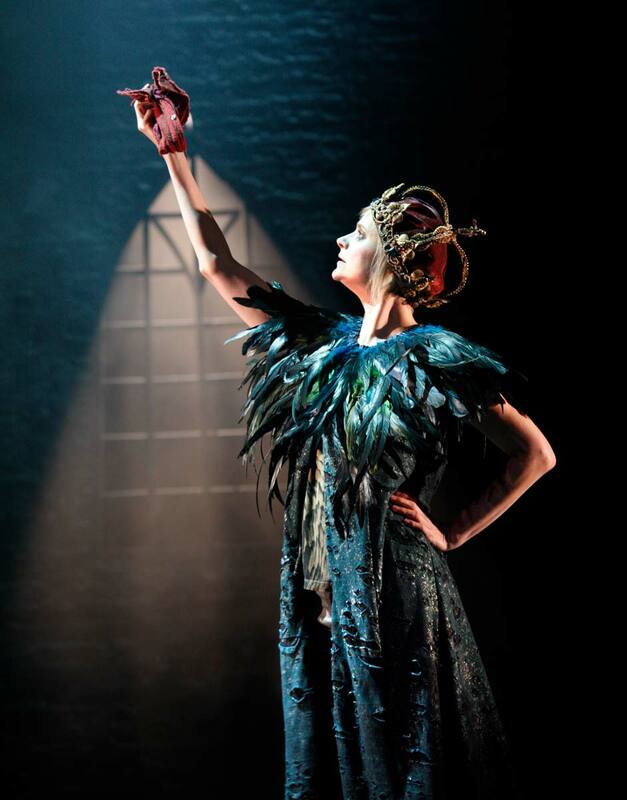 This romantic gothic musical love story, set in a fantastical world with a dark heart, is brought to life by Kneehigh writer Carl Grose (Dead Dog in a Suitcase) and “powered by an outstanding score” (Sunday Times) by Tim Phillips and Marc Teitler. 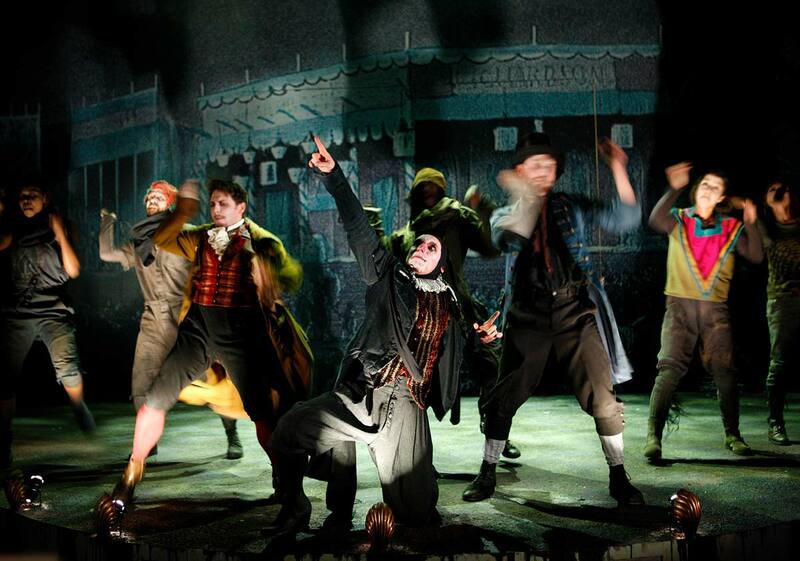 The cast is led by Louis Maskell, in the title role of Grinpayne, and Julian Bleach, who plays Barkilphedro, a vengeful clown with a heart of lead. 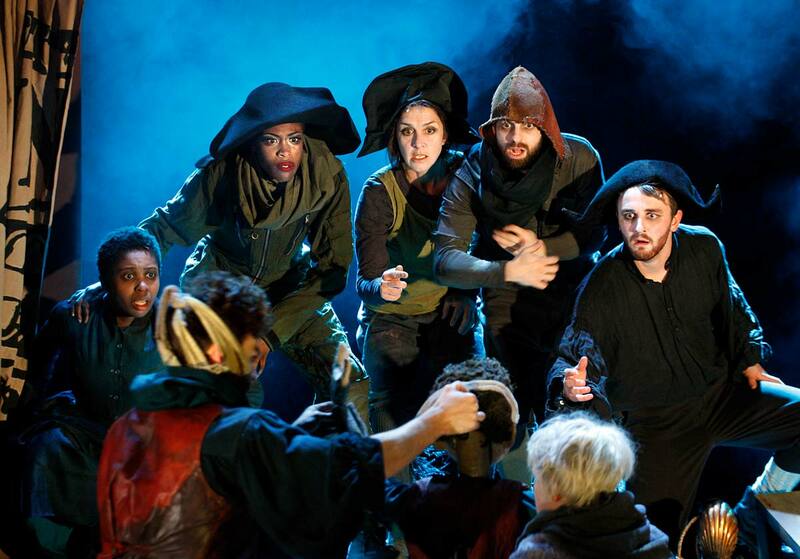 Macabre, magical and visually astonishing, this ultimately elating love story is a distinctive delight that barges through the gateway carved by the Nineties cult hit Shockheaded Peter with the full-blooded emotion of Les Misérables. 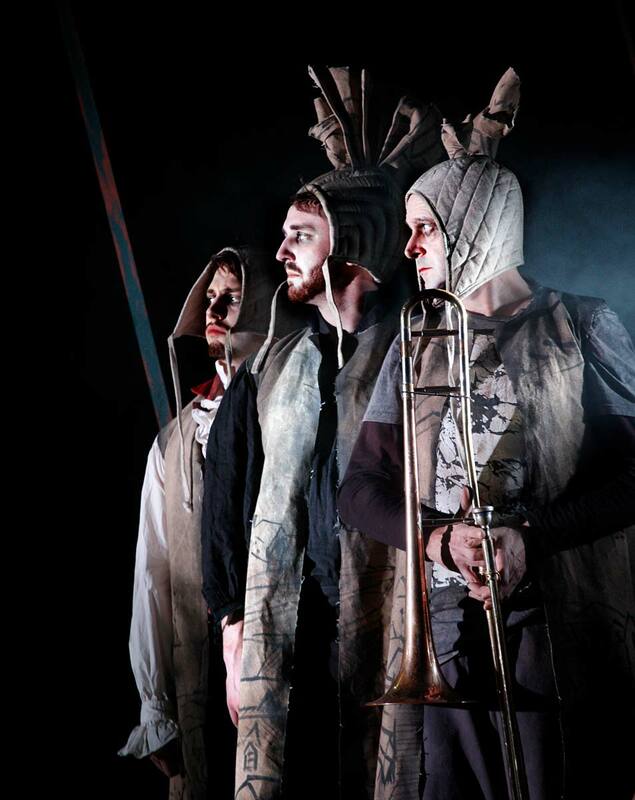 A strange new act has arrived at the fairground. Who is this youth and how did he get his hideous smile? 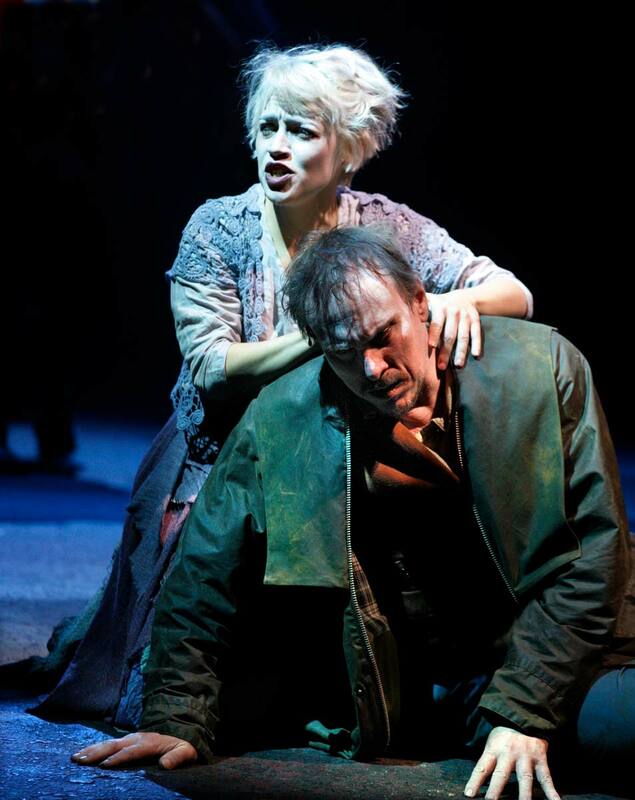 Helped by an old man, a lone wolf and a blind girl, his story must be told. A tale of an abandoned child with a terrible secret. 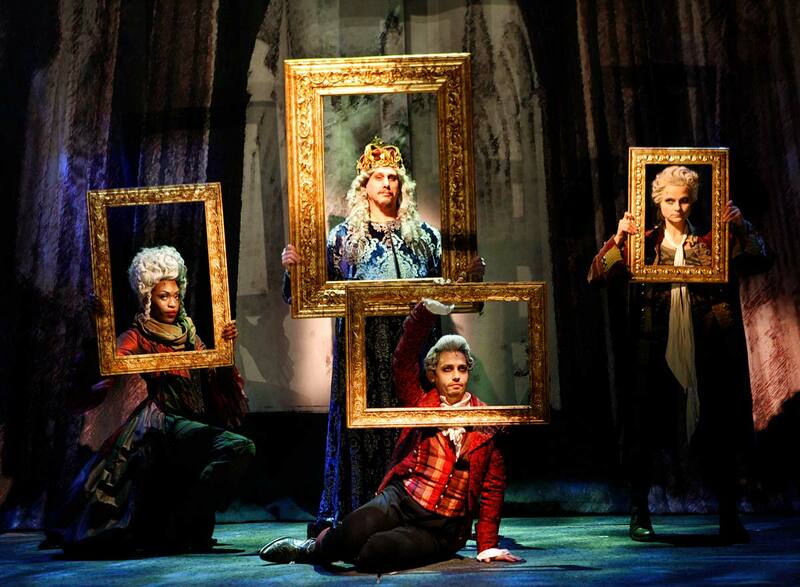 Paraded as a freak, then celebrated as a star, but only the sightless girl can truly love him for who he is. Let the darkness seduce you. 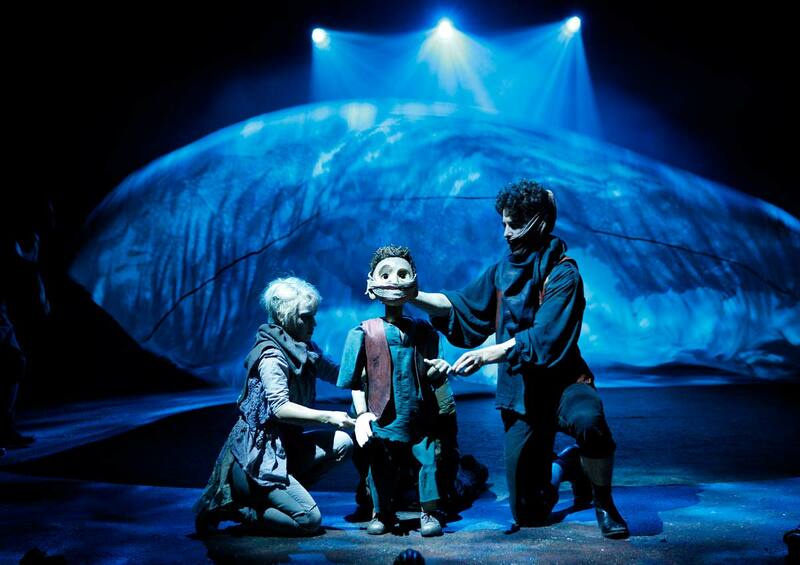 The Grinning Man reunites Tom Morris with two puppeteers who began their careers inside Joe and Topthorn in the original production of War Horse – Finn Caldwell and Toby Olié – now leading their own brilliant puppetry company Gyre & Gimble. 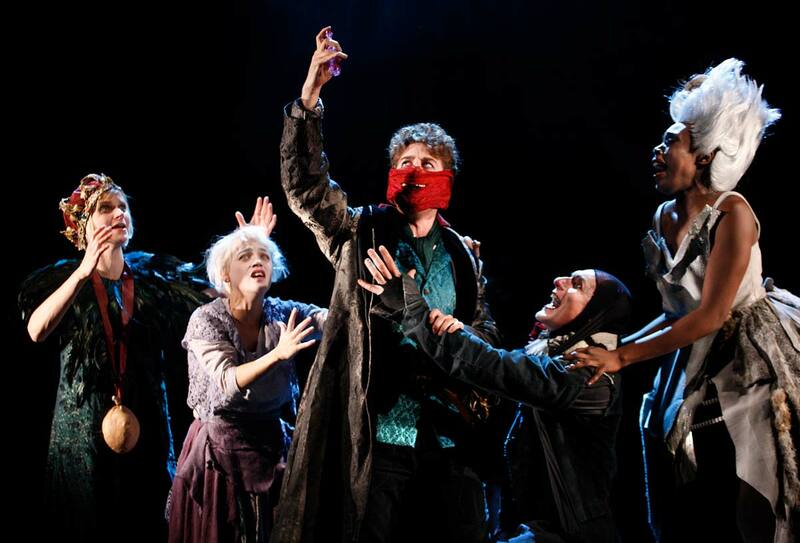 When the show opened last year as the climax of Bristol Old Vic’s 250th anniversary programme the critics raved: the Telegraph cited its “blackly comic brilliance”; the Daily Mail hailed it as “weird and wonderful, a dark delight”; the Guardian said the production “deftly walks a tightrope between romantic and grotesque… it defies theatrical convention by keeping its hand on its heart and its tongue in its cheek”. The producers are delighted to present the show in a specially configured space in Trafalgar Studios for an open-ended run from 5 December. 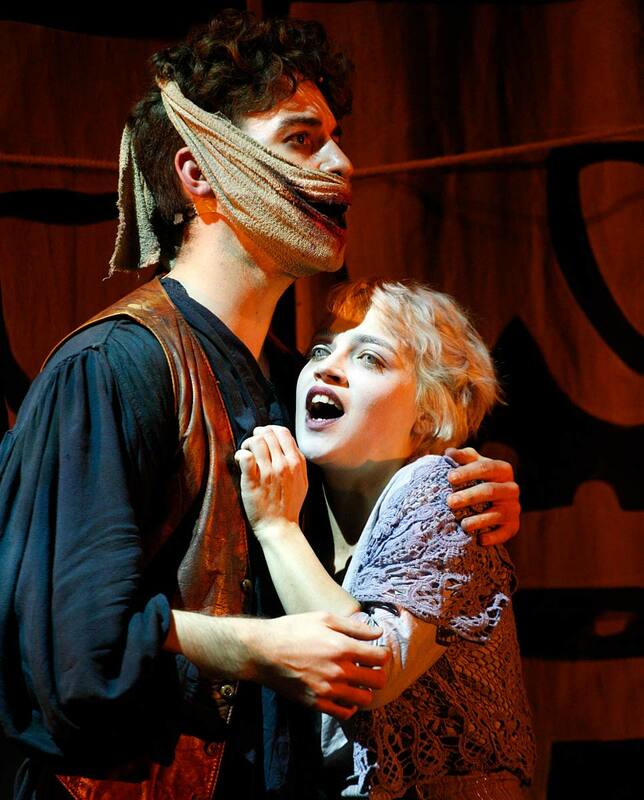 The Grinning Man underlines Trafalgar Entertainment’s on-going commitment to staging new work. 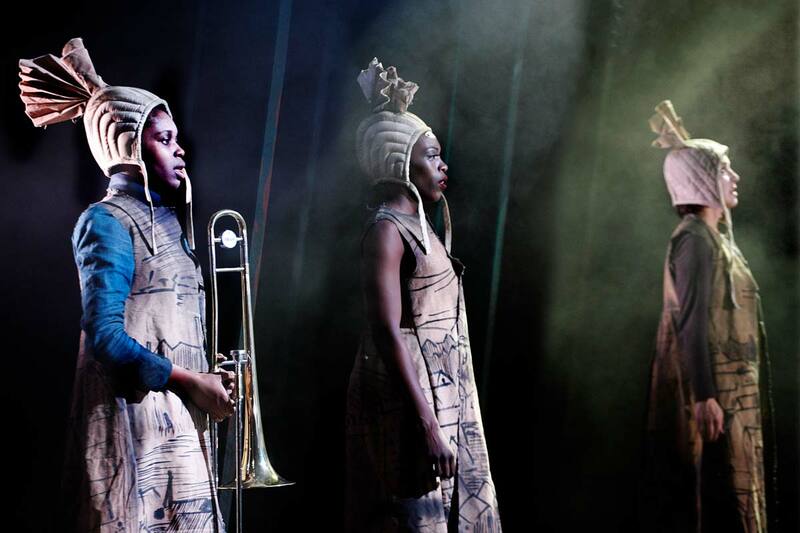 This production joins several other recent Bristol Old Vic hit shows in transferring to the London stage, including Swallows & Amazons at the Vaudeville, Peter Pan and Jane Eyre at the National Theatre and Long Day’s Journey Into Night starring Jeremy Irons and Lesley Manville at the Wyndham’s opening early 2018. 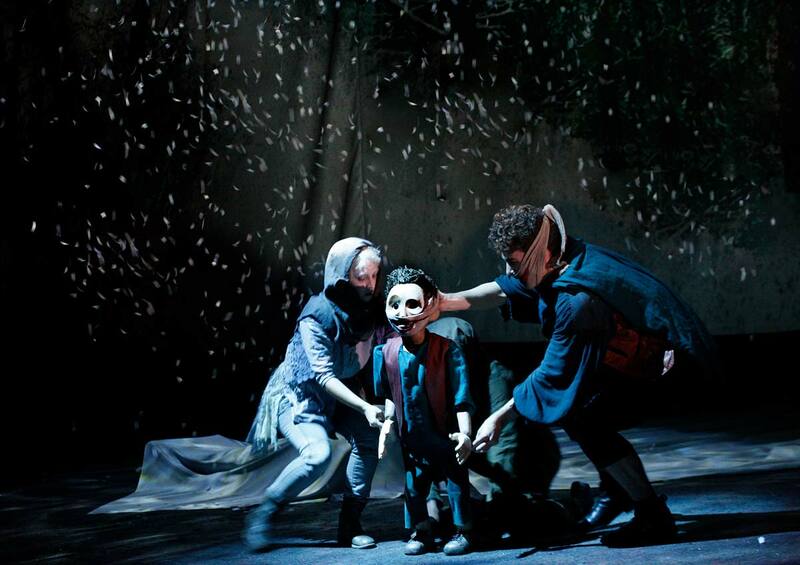 ​The Grinning Man is produced by Bristol Old Vic, Trafalgar Entertainment Group, Eilene Davidson and David Adkin. 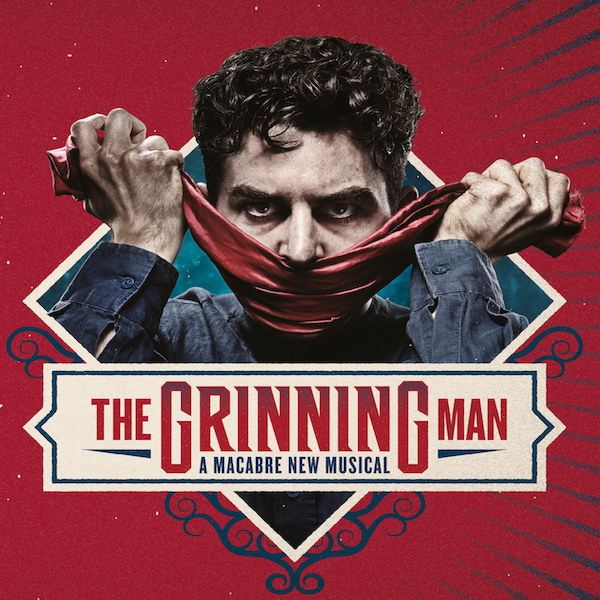 Rising star Louis Maskell takes the title role of Grinpayne, The Grinning Man. 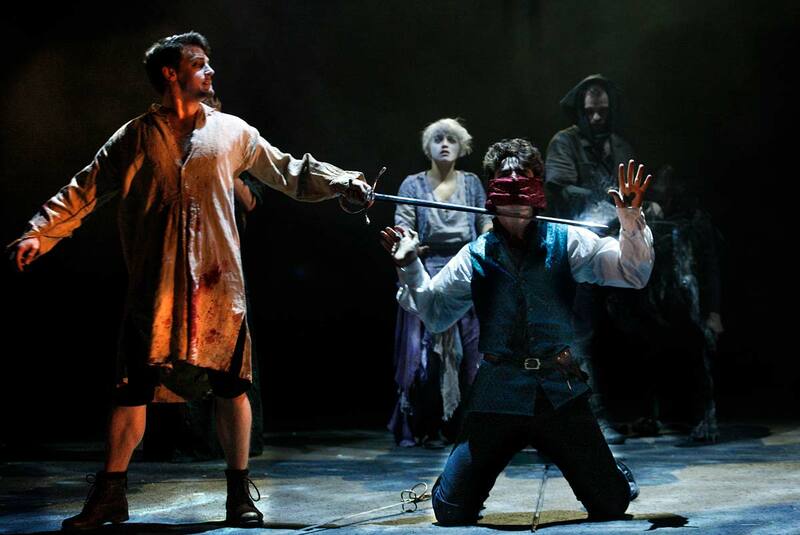 Louis has just been nominated for Best Performance in a Musical for this role at the UK Theatre Awards. 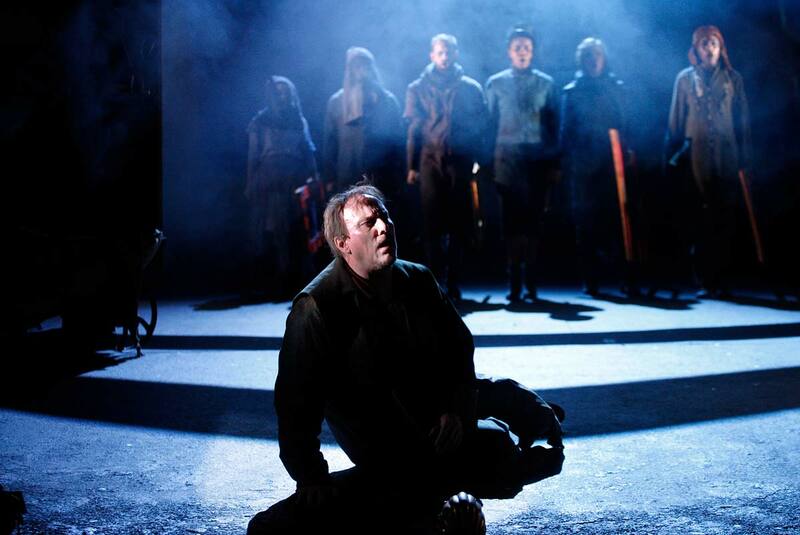 Fresh from Chichester Festival Theatre‘s Fiddler on the Roof, he has recently appeared in Flowers for Mrs Harris (Sheffield Crucible) and is well-known for the role of Freddy in the award-winning My Fair Lady (Sheffield Crucible) and as Tony in the UK tour of West Side Story. 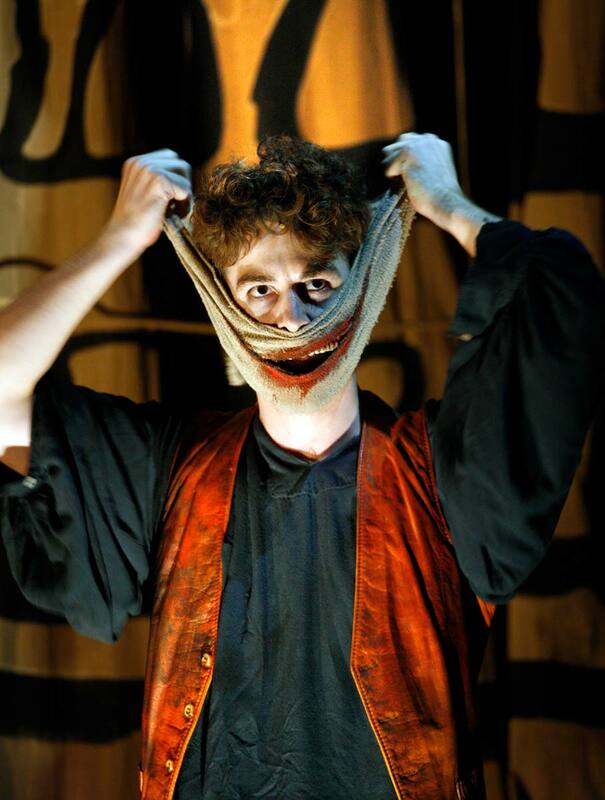 Julian Bleach takes the role of the deliciously corrupt court clown, Barkilphedro. 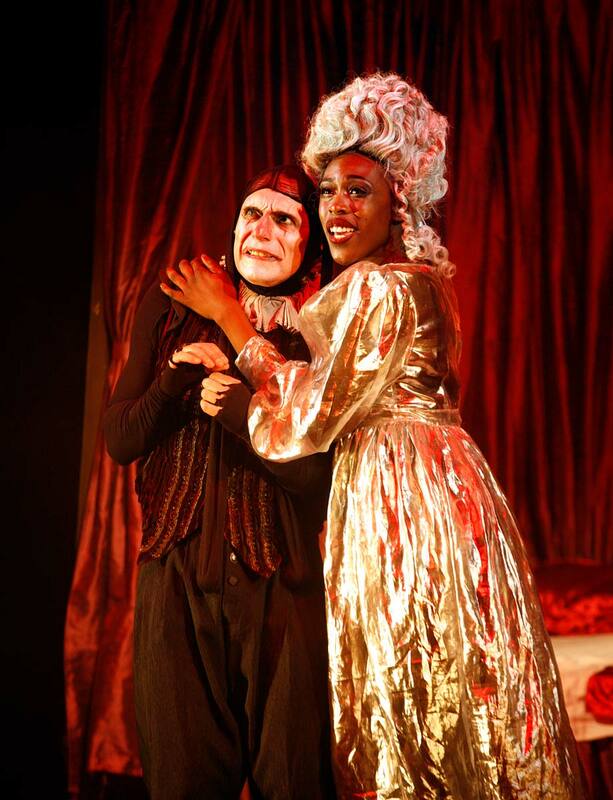 He is an actor best known for his defining role in the Olivier Award-winning Shockheaded Peter. 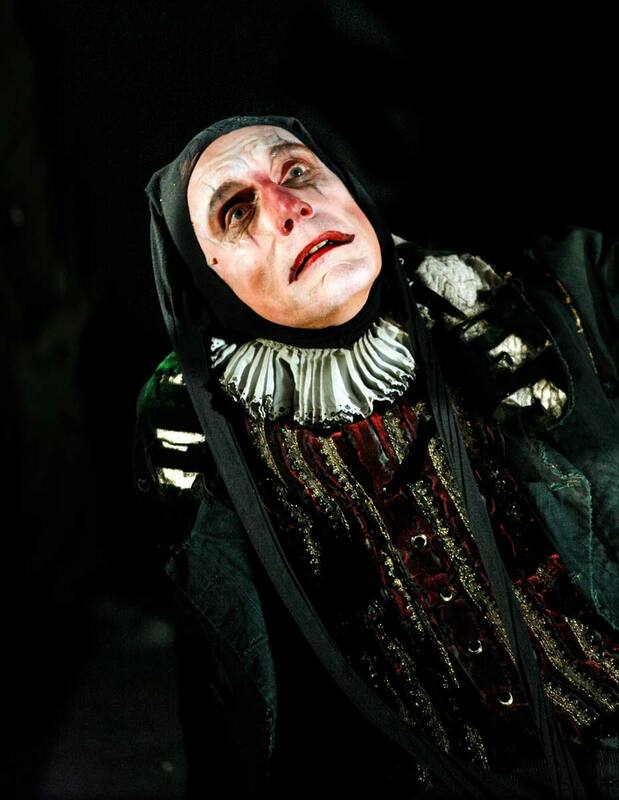 His other theatre roles include Gormenghast at BAC, playing Ariel to Patrick Stewart‘s Prospero in the RSC production of The Tempest and Ivanov in the NT production Every Good Boy Deserves Favour.